"There have been a lot of posts lately about people being discouraged because they were unable to preorder a Wii from their local Gamestop or EB Games. Some have gone so far as to give up on ever finding a Wii on launch day. Well, I'm here to give some hope. According to Yahoo there are currently 3,600 EB Game and Gamestop stores in the U.S. (source: http://rss.news.yahoo.com/rss/videogames). Reading people's post, it appears that each store is averaging about 15 preorders (some may do more, some may do less). So if we take the number of stores (3,600) and times it by the number of preorders (15) that equals only 54,000 units have been accounted for." I would think that Toys R Us and Walmart are going to get a huge bulk of the rest of the Wii's on launch day. You may be able to walk in without camping out to get one. 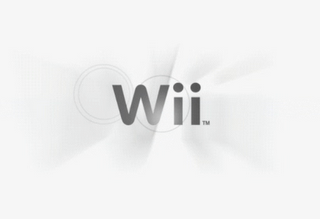 There will be 1 million Wii's on launch day in North America, so 1 million minus 54,000 is.......946,000. Thats still a lot on day one. I know game crazy is getting 400,000 Wiis. This is nationwide. Someone do the math there. I haven't heard about game crazy getting 400,000 Wii's. Can you give me a link John. I'm sure there was a story I missed about that. I do know Toys R Us are getting a lot because of a previous announcment from them concerning the Wii. I just don't know how much exactly. By the way I was able to pre-order the Wii yesterday morning. I was #5 in line at EB and I put $250 down and plan to pay the tax and the rest of it on games on Nov. 19th. Great day! I work at Hollywood video. My pal Keven works on the gamecrazy side. Hollywood video owns gamecrazy just incase you didn't know. Anyhow I don't have a link for you all I have is my friend keven's word who wnet to a store meeting 3 weeks ago and that's what they were told by the high up boys. They also got a memo but I can't get my hands on it or I'd show that. All I have is my word so I guess believe it or not. Glad to hear you got your hands on one dude. No problem Loyan N. That is interesting if true. Game Crazy has only been around for about 4 years or so and Gamestop has been around much longer, why would they get so much more than Gamestop? I guess if true that is good news for other people who missed out on the Gamestop pre-orders. metaldave....thats EXACTLY what I did! LOL, i just have to pay off my 5 games I pre-ordered and the taxes. The plan is to buy the Wii on the Midnight launch, go home and play the thing until we can't physically play anymore. I want to be dead tired after launch day. My friends and I already have that day planned out and most likely won't be doing anything else. Great minds think alike. I'm not sure why they are getting more than Gamestop if that's the case. I don't know the numbers Gamestop and EB are getting. I do find that in my Nintendo Power mags I find alot of Gamecrazy ads. I mention that because it strikes me as odd that out of all my Nintendo power mags I have not seen any ads for Gamestop or EB games. I find ads for Gamecrazy in almost every issue. What does that mean if anything at all? Well Gamestop and EBgames is only getting just over 50,000 systems on launch day. The rest is going to Toys R Us, Walmart, Target, Best Buy, Circuit City, and of course Game Crazy. If Game On can't get a reserve because of all the bad weather in Buffalo New York, he may have to camp out on launch day. If not he MAY be able to get one by just walking into a lesser known Walmart or something and get lucky. Good luck to him. Its kind of in a crappy part of town and no one ever thinks of it. You'd be surprised. When I tried to pre-order the Wii I thought the same thing about a certain Gamestop. When I showed up the line was already too big. People like to come out of hiding during these times.